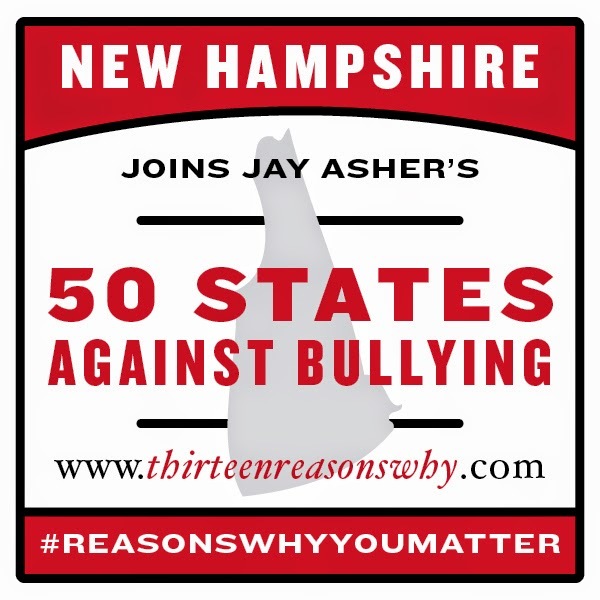 Stop number fifteen on the 50 States Against Bullying campaign brought me to New Hampshire. It's my last stop before I head back to California for about a week, so I spent extra time taking detours to enjoy the surroundings. 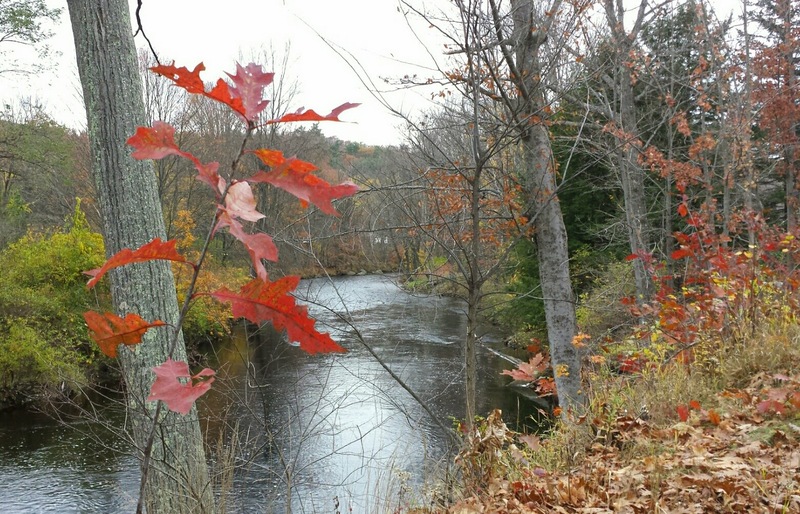 Here's a river I passed on my way to ConVal High School. It's places like this that allow ConVal to have a bass fishing team. Bass fishing! I don't fish, but even I think that's cool. 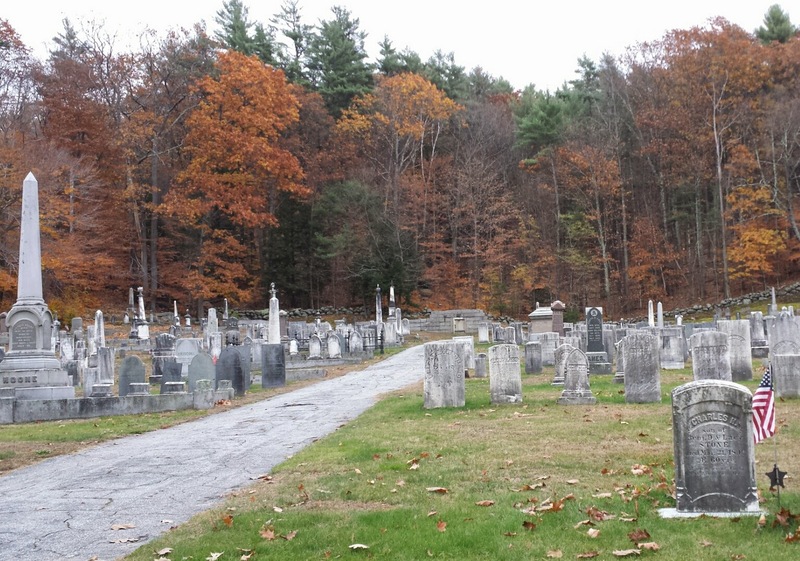 This cemetery looks creepily beautiful surrounded by these trees. About a dozen times, people told me, "You should've been here last week when the trees were Peak Color." Yes, Peak Color is a thing! 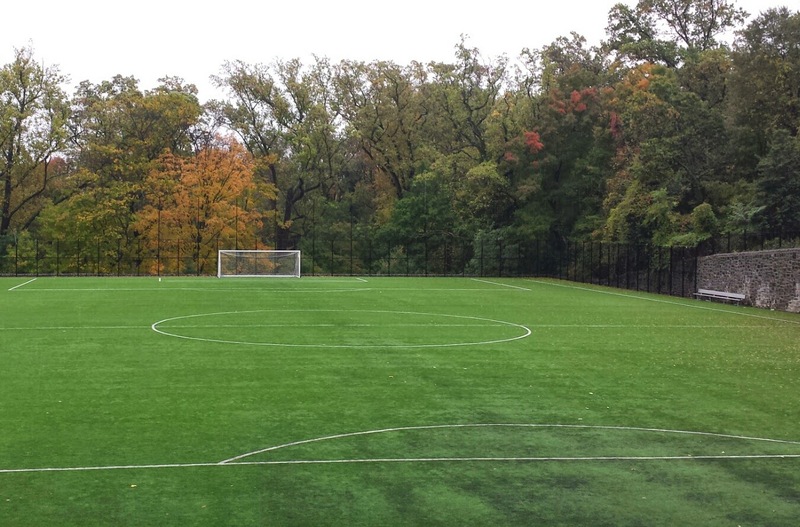 If I was buried in this setting, I'd have to dig my way out of my grave each fall to see the trees. I bet New England zombies even have a saying about that: When it's fall, you just have to get back up again. 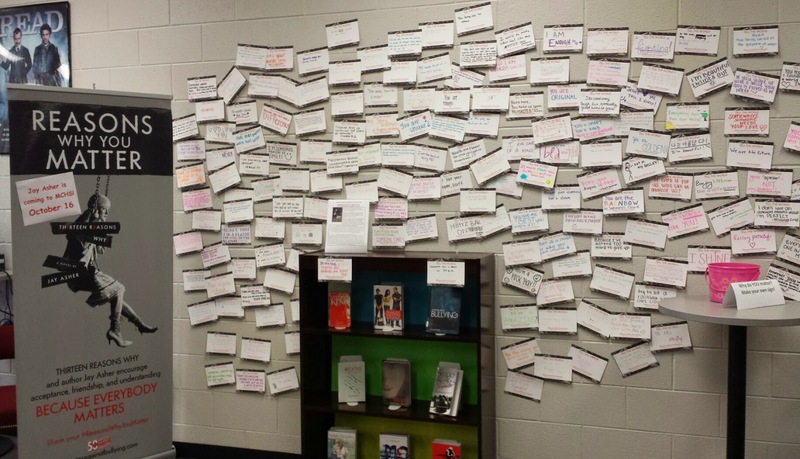 Approaching the school entrance, I saw the Thirteen Reasons Why display through the windows. 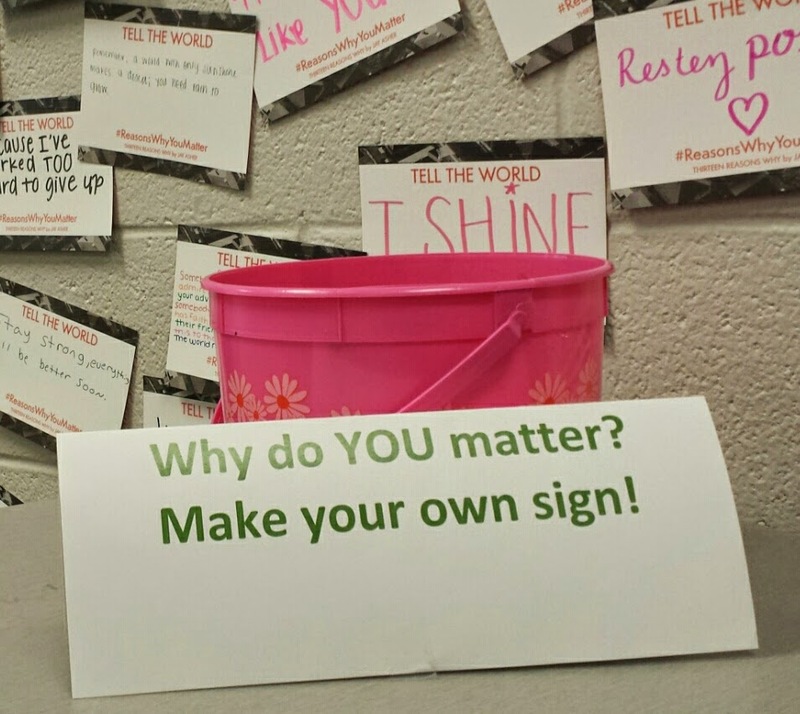 Surrounding the doors were many #ReasonsWhyYouMatter cards already filled out. Here are all the people I spoke to in the gym, although in this picture I'm first being photographed by two students. 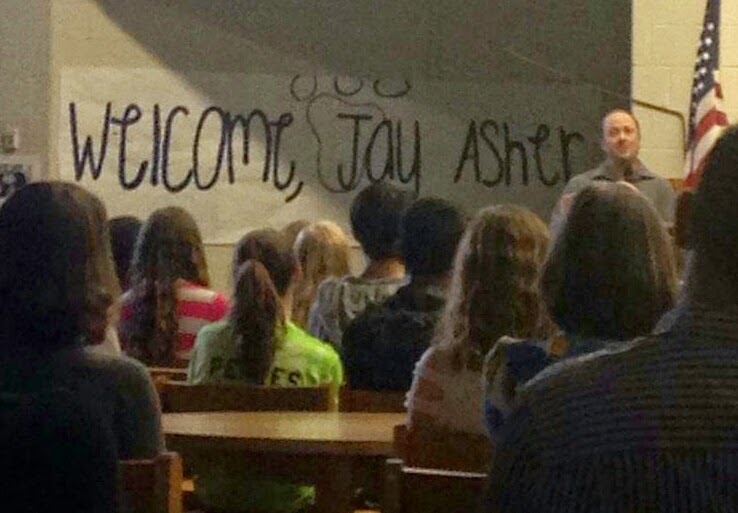 After I spoke, the principal led them in a chorus of "Thank you, Jay Asher!" So, of course, I had to record that. Then I spoke to a group of leadership students in the theater, where I answered many questions. This was followed by lunch! When I was in high school, I think I ate cafeteria food once. Not because it was bad, I just either brought mine from home or went to the window where they sold Subway sandwiches ("Spicy Italian, please."). 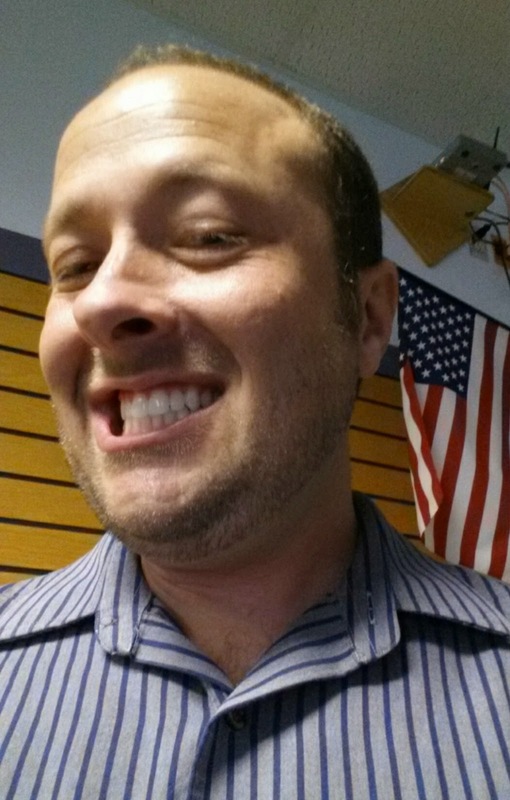 So whenever schools ask if I'd like to eat food from the cafeteria, I always say yes because...it's fun! It was then time to speak to two different sessions of English students who've all read the book. But the soup I ate at lunch included tiny floating green things (not onions, which I'm sure of because they weren't gross), so I checked my teeth for green things before I spoke. 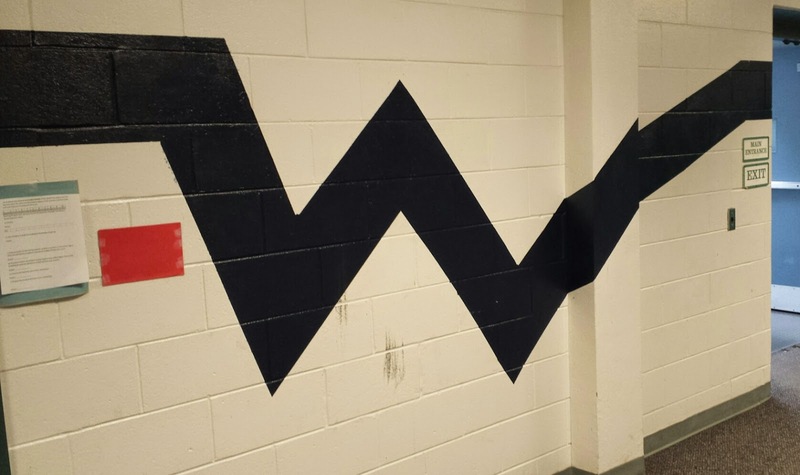 Walking to the room where I'd meet the students, I spotted this wall design. Since it reminded me of Charlie Brown, I had to take its picture, of course. 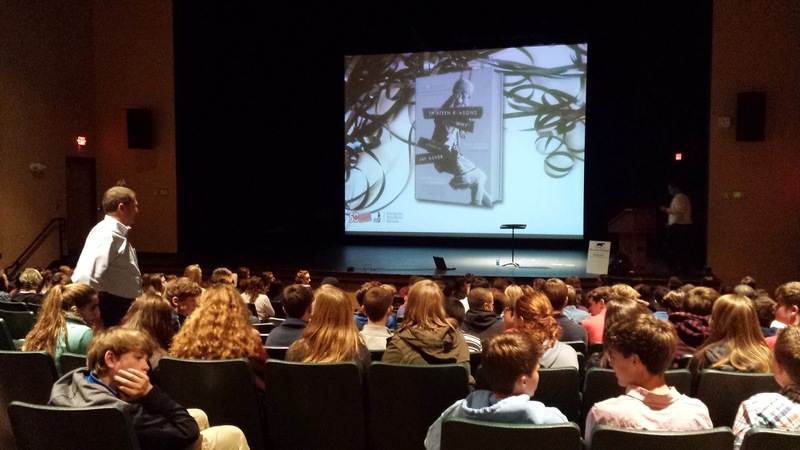 When you get to spend hours speaking to students who've all read your book, you get asked some very insightful questions. We discussed Hannah's reactions to situations, metaphors that I may or may not have intentionally put in the story (it could be that I just don't remember, but I don't think they were), and so much more. On second thought, I take that back. It sounds much smarter to say all of those metaphors were intentional. And they were. They totally were! 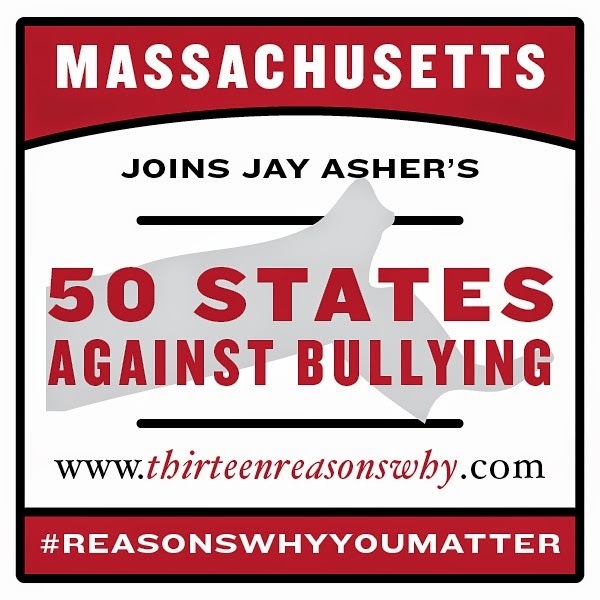 The fourteenth stop on my 50 States Against Bullying campaign brought me to Massachusetts. 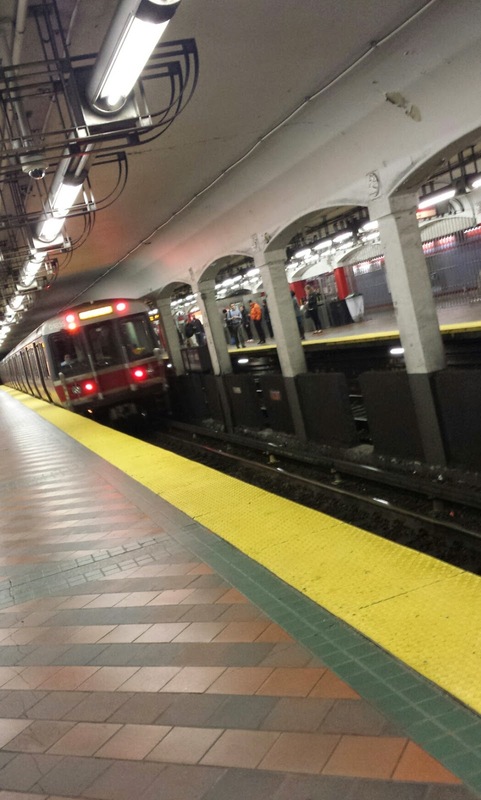 Whenever I travel to a big city, it takes me a while to gain enough courage to step onto buses and the subway. But once I get the courage, it's kind of fun! Sometimes I worry about maintaining the attention of hundreds of people sitting on a hard gym floor, but these students were awesome. And there were so many great questions at the end, I could've stayed and chatted with them for the rest of the day. 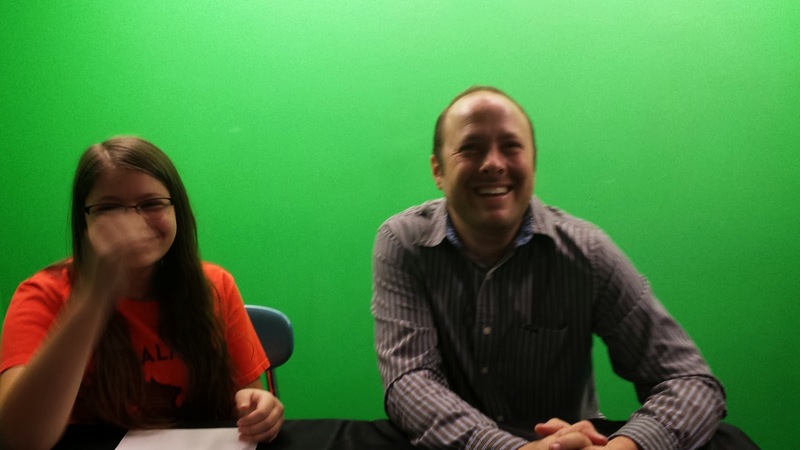 But I had to do an interview for the student news, and they also had some great questions. And I obviously gave some really ridiculous answers! As you can guess, I consider 13 to be a very lucky number. 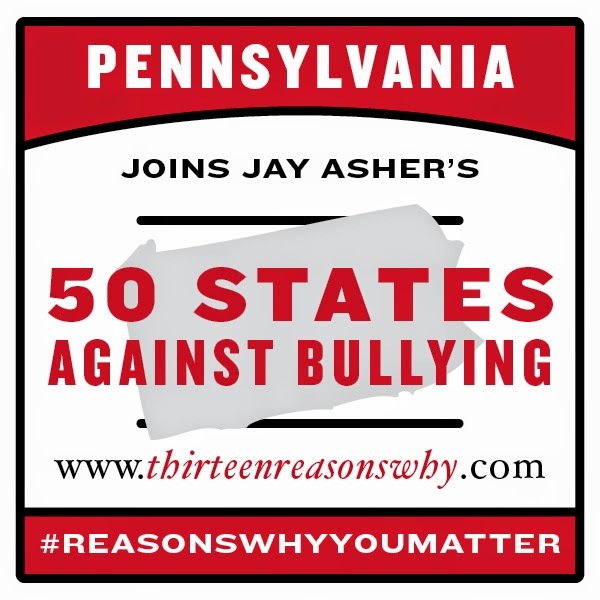 So it was of little surprise when a whole lot of awesomeness surrounded my thirteenth stop on the 50 States Against Bullying campaign in Pennsylvania. 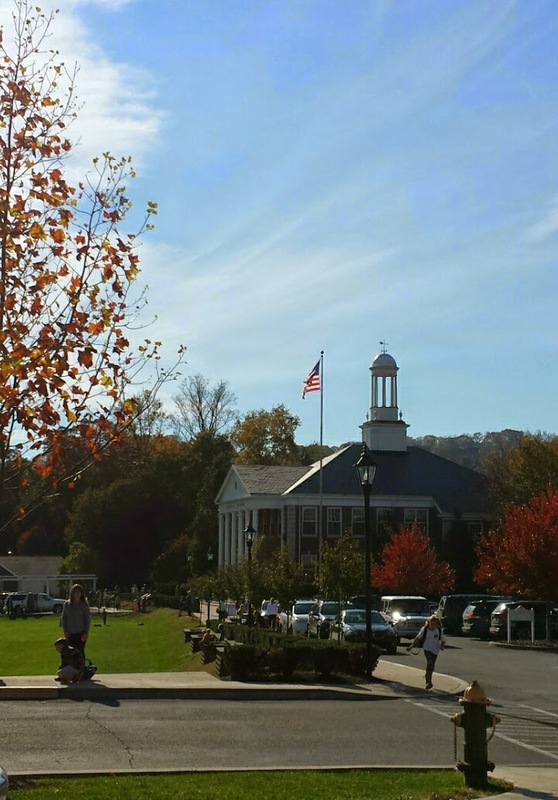 It began with some presentations at Sewickley Academy, just outside of Pittsburgh. If there's one thing I will visually remember from my stops on the East Coast this autumn, it's the stunningly colorful trees everywhere I turn. And I was told this year was unusually lacking in color. I gave two presentations to the students, and had two more gatherings that were more like free flowing discussions. 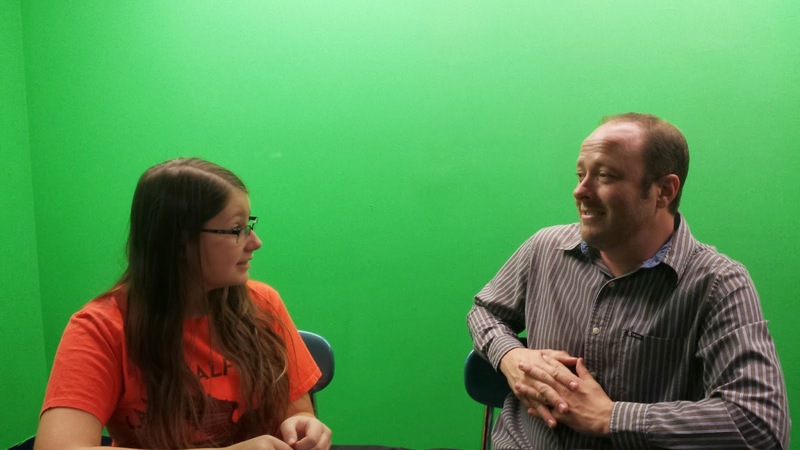 First I met with student leaders, in groups like ASB and Peer Counseling. We discussed leadership and mentoring, and I had the chance to get into (based on a beautiful question) another aspect of bullying not often considered, yet crucial: forgiveness. 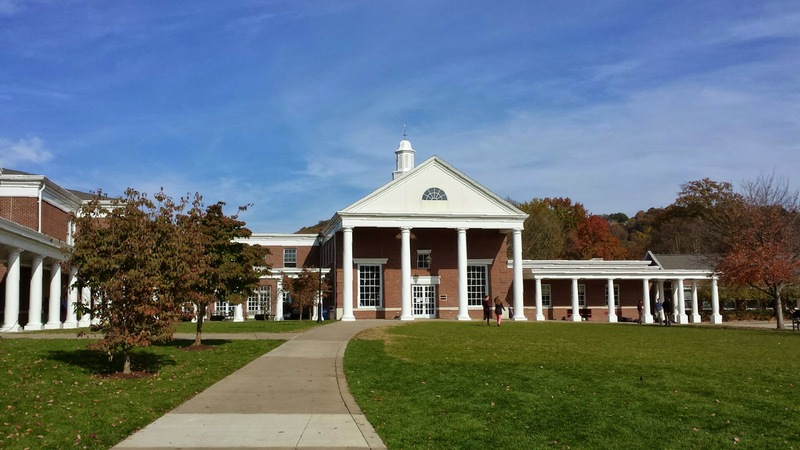 Then I met with faculty leaders at the school, which was an opportunity I don't often get. But it was so inspiring! Then I took a drive through the area for a very personal reason. My mom spent her childhood in the Pittsburgh region. As I drove, memories of black and white photos I've seen, Eastern European characteristics on so many people walking by, and stories I've heard from my mom and my extended family made the entire drive feel so familiar. 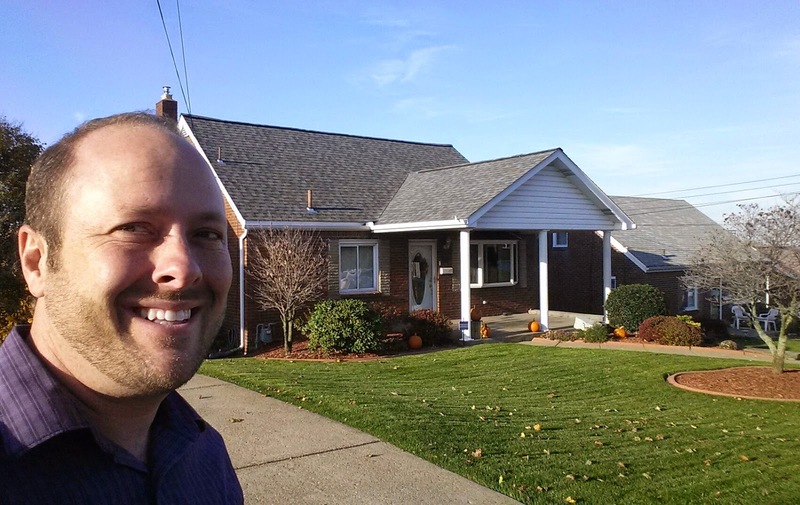 I even found the house in West Mifflin where she lived in from grades one through six. That evening, my friend (and author) Stephen Chbosky took me on another tour of the city, which is where he also spent many important years. He doesn't live here now, but we were both speaking at the same conference this weekend. 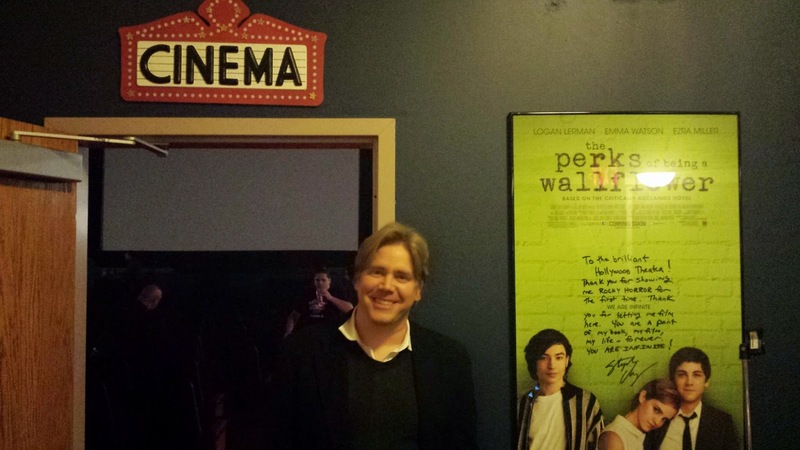 Stephen, as you should all know, wrote The Perks of Being a Wallflower, and also wrote and directed the movie based on the book. 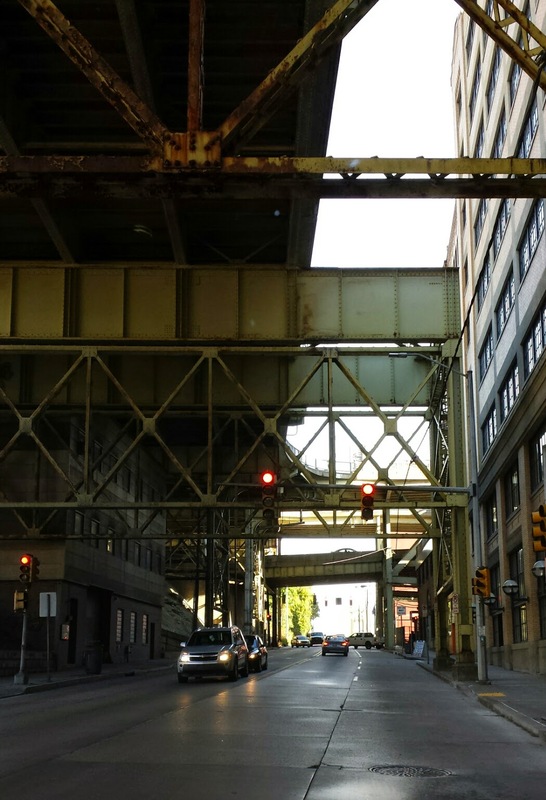 Some pivotal scenes occur while the characters driving through the Fort Pitt Tunnel. They have special songs they listen to while sitting or standing in the vehicle, which continues as they exit into a beautiful view of the city at night. Stephen drove me through the tunnel a few times. Once, I listened to my Tunnel Song, Larry, by Buffalo Tom. Another time...just the sounds around us. 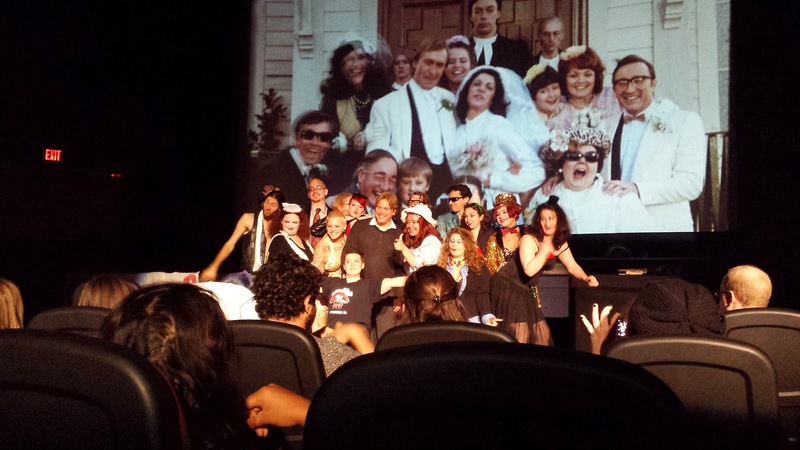 That was followed by my virgin experience at a Rocky Horror Picture Show production. My experience happened in the same theater where Stephen lost his RHPS virginity, which is also where he shot some scenes for his movie. This has made him the Patron Saint of the Hollywood Theater! Yes, the number 13, and Pennsylvania, has been very good to me. 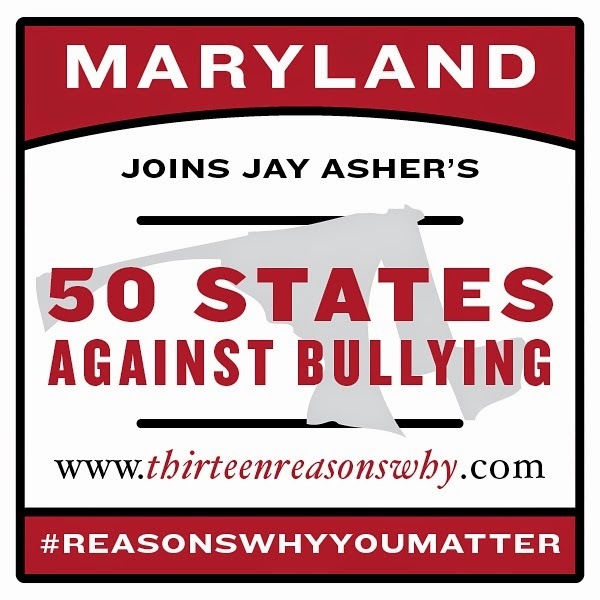 The twelfth stop on my 50 States Against Bullying campaign brought me to Maryland. 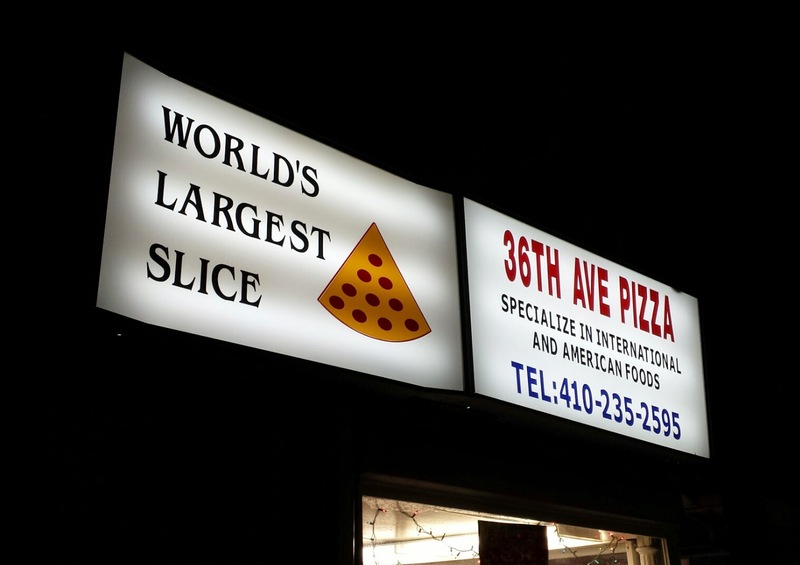 I was starving after the train ride, so I found a place online advertising the world's largest slice of pizza, to which I said, "Ha! We'll see about that." I punched the address into my GPS, which led me into a park late at night. With no lights. And lots of trees. And dirt instead of paved paths. And it was sprinkling so the dirt was mud. And did I tell you it was dark? But I also got pizza! And yes, it was a humongous slice of pizza. But I was hungry, so once they handed it over I devoured it. So I'm sorry for the lack of a pic, but my greasy fingers probably would've destroyed my phone anyway. 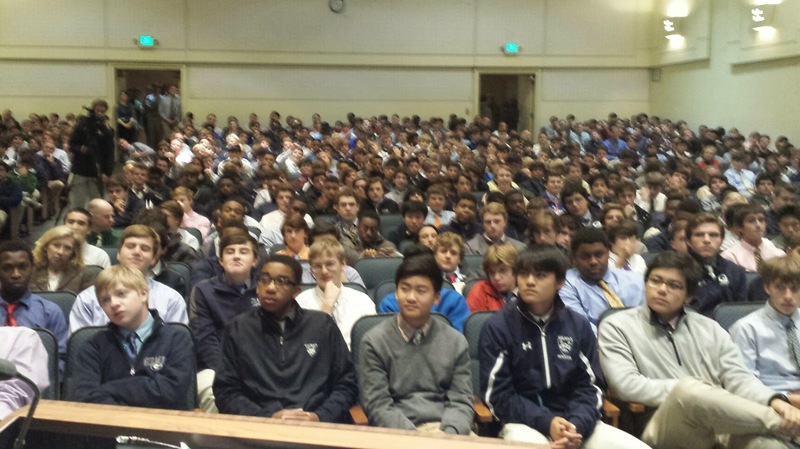 The next day, I spoke at Gilman, my first all boys school. 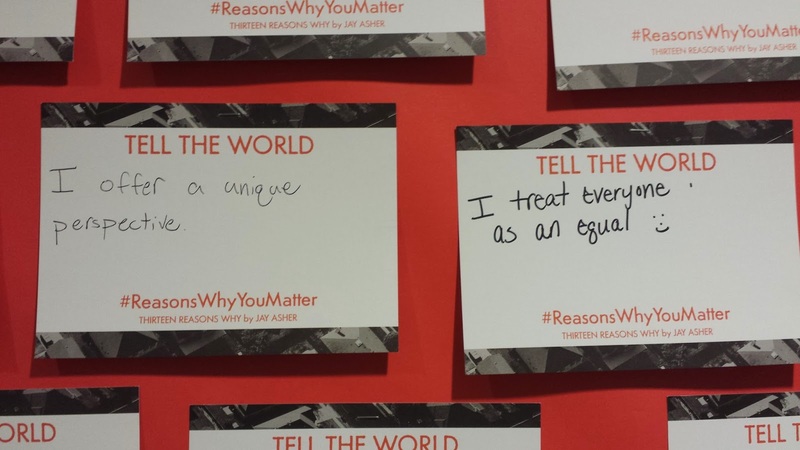 The students had begun filling out their #ReasonsWhyYouMatter cards and posting them in the hall. My usual presentation lasts 40-45 minutes. At Gilman, the schedule required me to cut it down to 25, which involved a late night of strategizing and math work. But more than that, it required a lot of guess work because I never know how fast I'm going to talk or how much I'll be able to hold back the rambling. But it went well! (The shot above is of the boys listening to school announcements. They looked a bit more lively in a few minutes.) Throughout the rest of my day, students came up to tell me they really enjoyed my talk. Yes, these dudes are all sorts of polite. 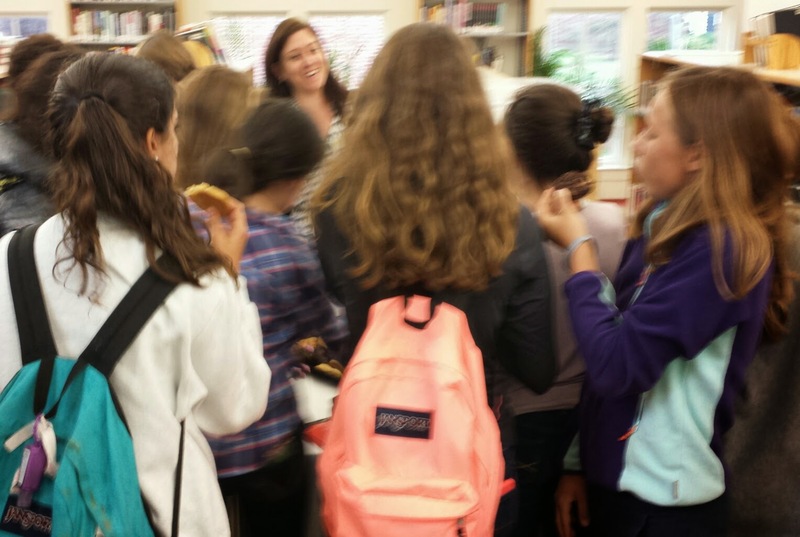 And then they streamed into the library over the next few periods to get their books signed. Before I left, I participated in one of my favorite Q&A sessions with members of the Gay-Straight Alliance. (I didn't realize that's what it was until I started answering questions. 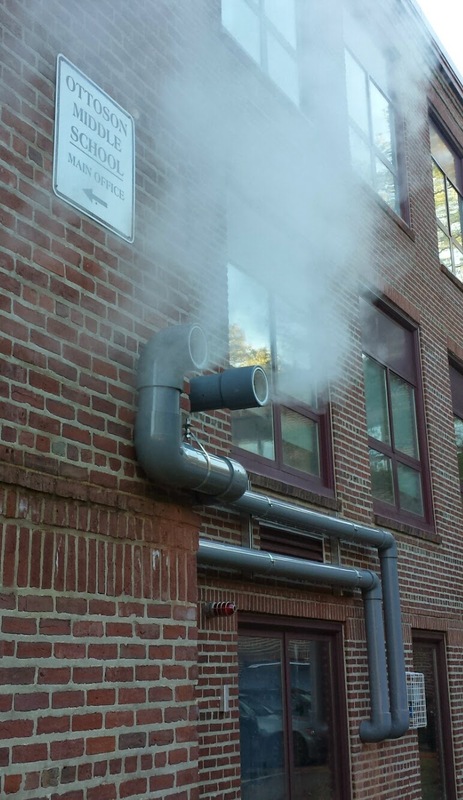 I just knew I was going to speak to GSA later in the day. GSA? Sounds cool!) The questions were wide-ranging, but allowed me to open up about a topic that I know touches many of the readers I've met over the years. Oh, I also ran into Sean Astin from Goonies (and a whole bunch of other movies, but none as important as that) in the hallway outside of my hotel room. I didn't have my phone on me, so I didn't get a pic, and I'm still so upset about that. And that's why I'm posting this really small. But he did say, "Howdy," to me!!! 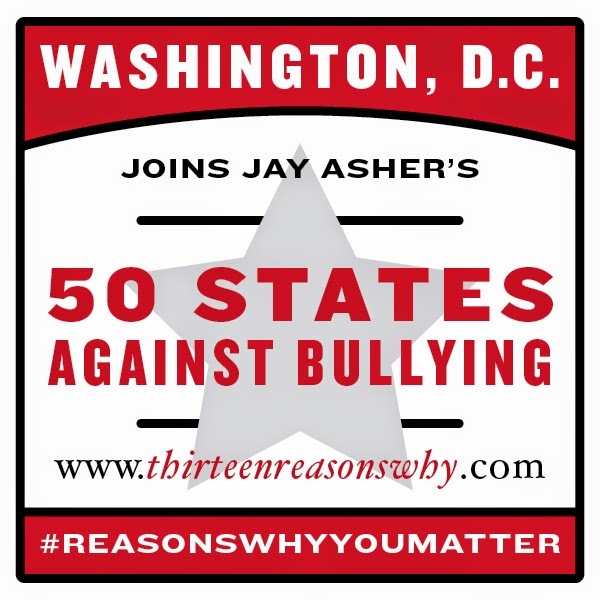 50 States Against Bullying: WASHINGTON, D.C. 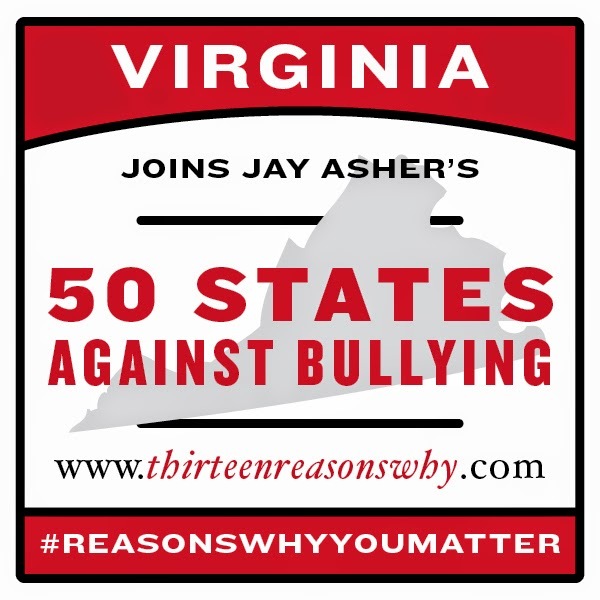 The eleventh stop on my 50 States Against Bullying campaign took me to...a district. Not a state, a district! 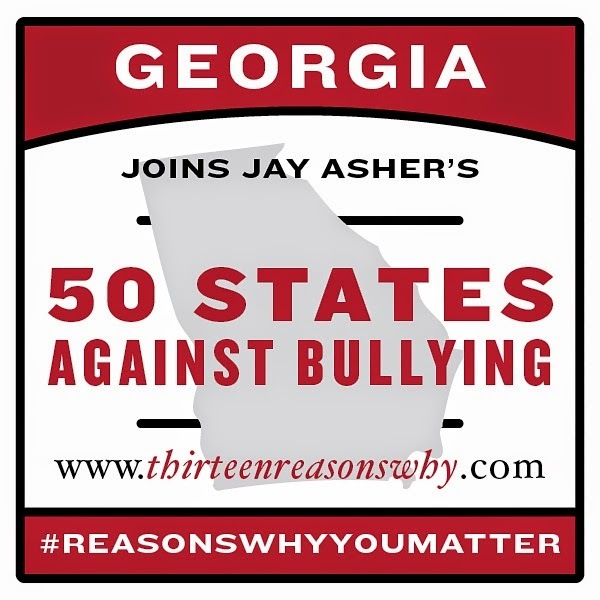 I guess the organizers of the campaign thought 50 States Plus 1 District Against Bullying was a bit wordy. This was my third time speaking in or around Washington, D.C., and one day I need to visit when I have time to really explore. 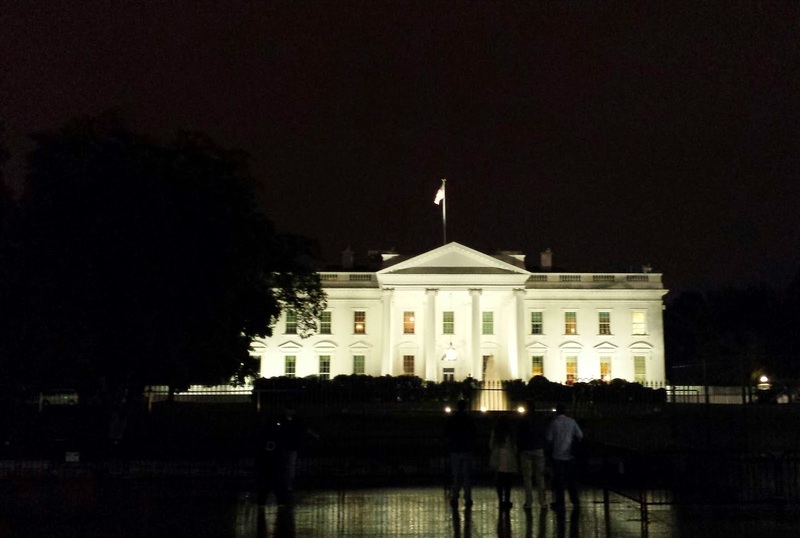 This time, though rainy, I made my way a few blocks from my hotel to see the White House. The rain made it even more beautiful than the last time I saw it! 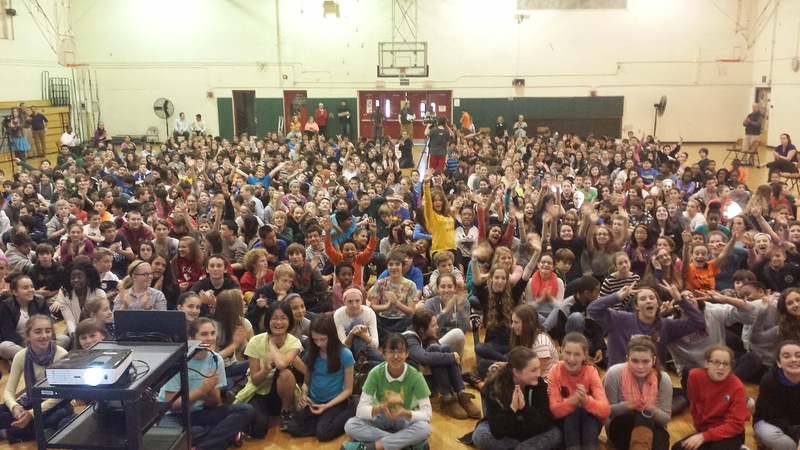 The next day, I spoke at the Washington International School. 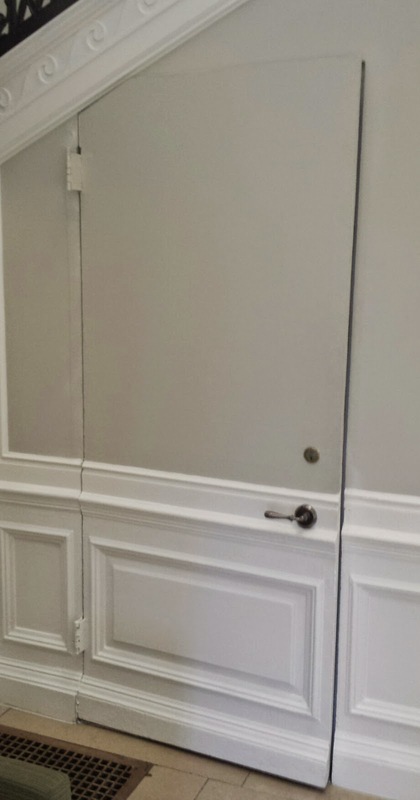 Being in Washington, D.C., I wasn't surprised to find lots of secret doors, such as this one, which guarded my carry-on bag while I spoke to the students. 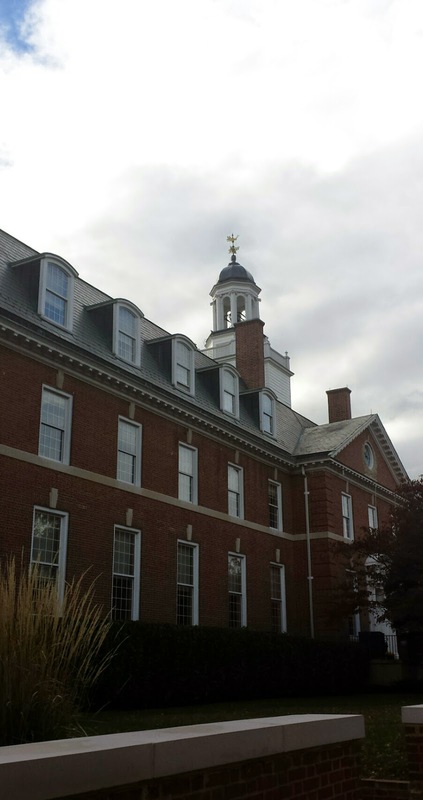 The historic buildings that made up the campus were beautiful, and the librarian told me a little about the history of the place as we walked to where I'd be speaking. She also lent me a polka-dot umbrella, which was very kind. 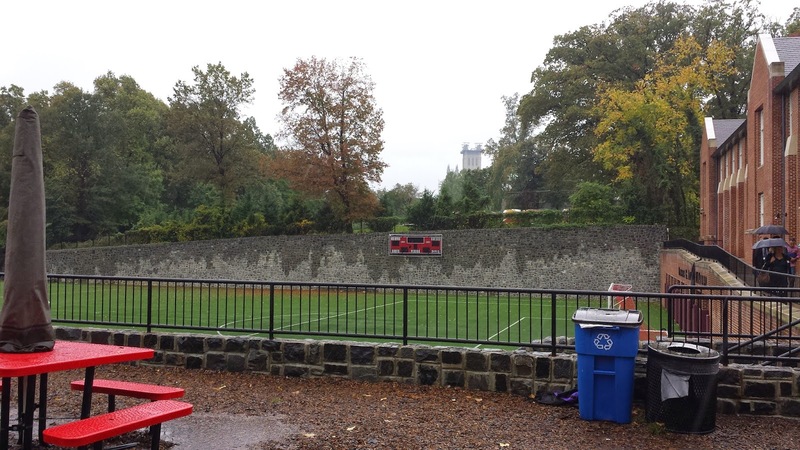 On our way to the library, if you look over the soccer field, you can see the Washington National Cathedral. The top of the cathedral is still being renovated after the 2011 earthquake. As the students began to arrive, they noticed piles of cookies set out for after my presentation. But you can't leave cookies out and tell people they have to wait. Especially not if you want them to focus on the presenter and not think about cookies! So they "released" the goodies early and a swarm of students quickly descended. High on sugar, they were a very responsive audience! 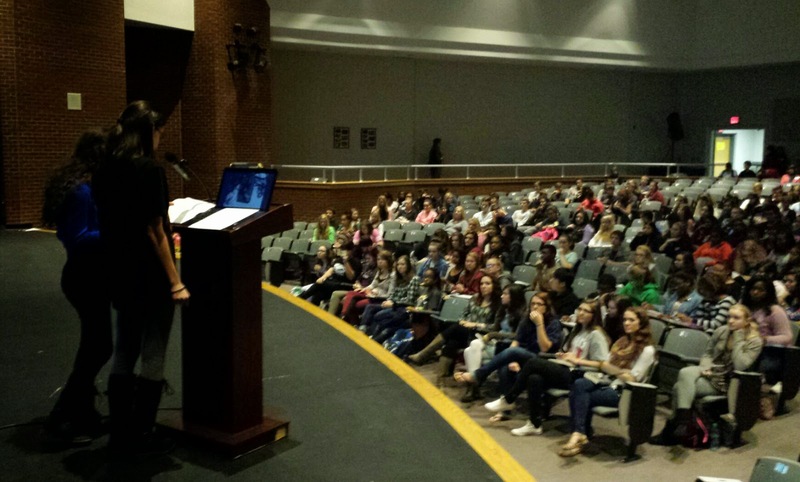 My tenth stop on the 50 States Against Bullying campaign was Centreville High School in Virginia. 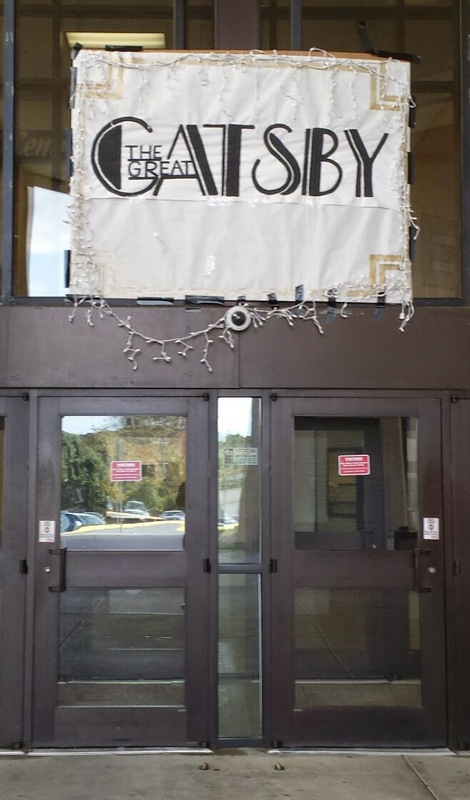 When I approached the school, I saw this sign over the entrance. The Great Gatsby! Since I was driving to my next stop instead of flying, my schedule was up to me, and I was all set to extend my stay in this town to see this play. Turns out, this is their homecoming theme. Which is a great theme! But I was kind of looking forward to an evening at a high school play. 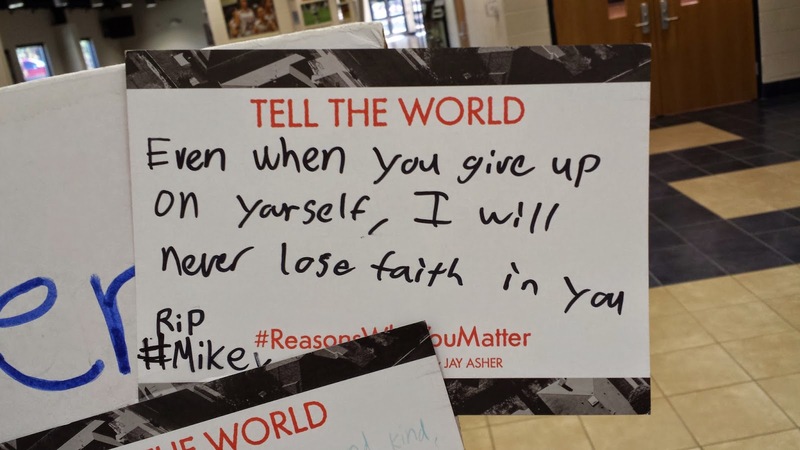 Inside the library, more #ReasonsWhyYouMatter notecards were on display with uplifting proclamations of what makes students at this school unique. My presentation took place after school, so there were community members and students from other schools in attendance, which I always love. As I was driving to my next stop, I passed so many museums. I love museums! So next time I'm in the area, I need to fit in some Tourist Time. Unfortunately, the traffic to my next stop was crazy, and my tummy was rumbling because I hadn't eaten since breakfast. Fortunately, I was sent to my next hotel with a nice helping of homemade pot roast from the Centreville librarian! Unfortunately, my didn't have a microwave. Fortunately, this stuff tastes great at room temperature! 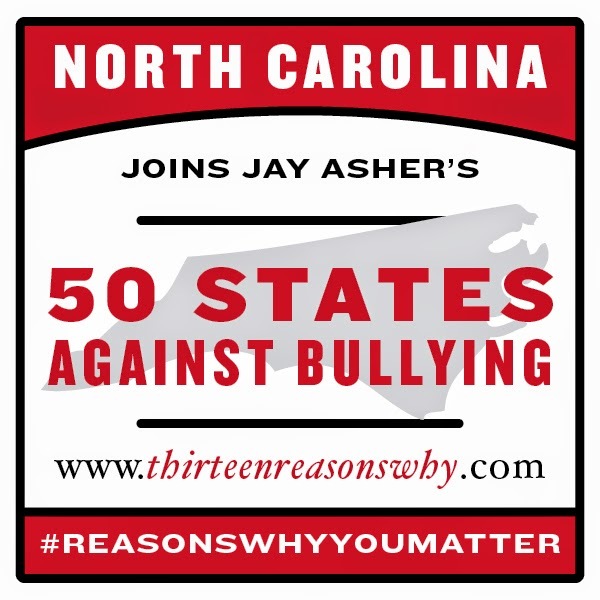 For the ninth state on the 50 States Against Bullying campaign, I visited The O'Neal School in North Carolina, speaking to students in grades 8-12. There were trees everywhere at this school, making the campus and its surroundings absolutely beautiful. 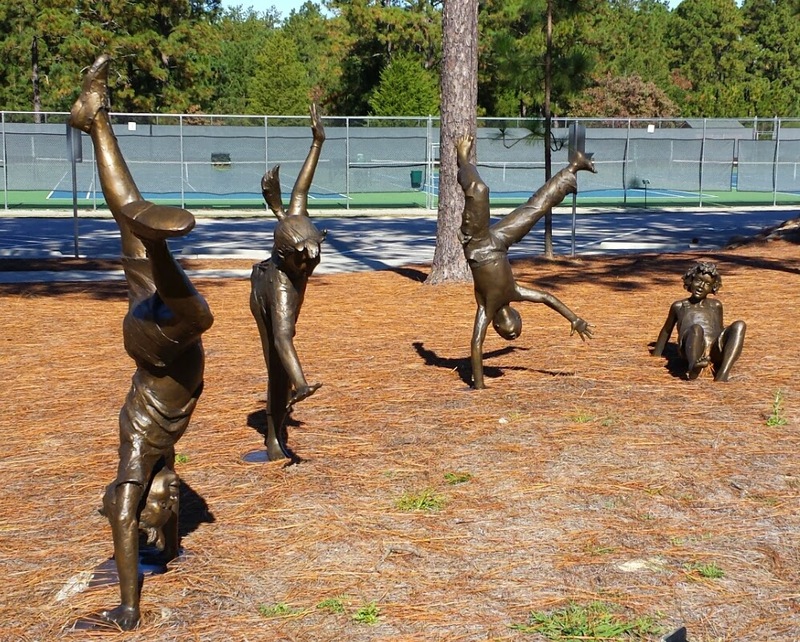 Even the statues were flipping out over the trees! Yes, I considered adding myself somewhere within that sequence of statues for a photo-op, but then I considered the fact that I would probably hurt myself. So I didn't. 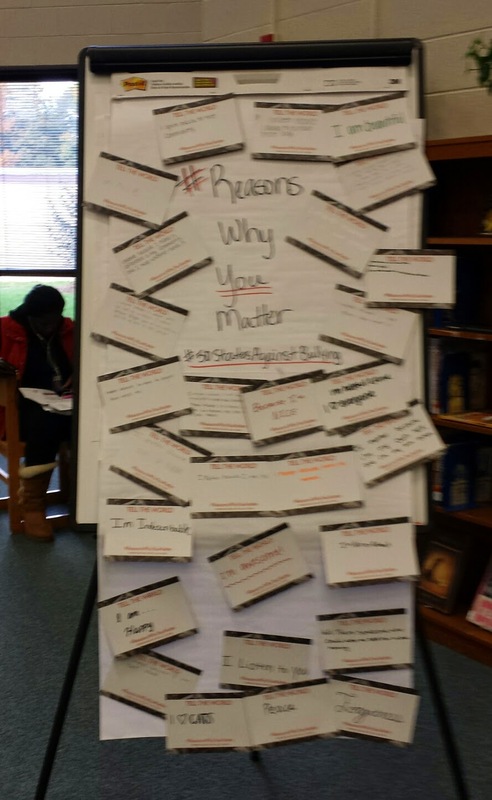 Meanwhile, inside the school, students had begun mounting #ReasonsWhyYouMatter cards to both sides of this board. Reading through these notes has becomes a great way to focus myself before I begin speaking with the students. Giving a speech using Powerpoint, as I do, helps calm the nerves. This way, hundreds (sometimes thousands!) of eyes aren't constantly just on you. Of course, if you get on a roll and skip over a topic, it becomes obvious once the wrong slide pops up. But I recovered from this mishap, which is thankfully rare. And, at the end of my talk, I even got my first standing ovation! Signing books and chatting with students and teacher afterwards often turns emotional, and that was very true at this stop. While the stories shared could be heartbreaking, it is also inspiring to see people so willing to open up. That's always been a hard thing for me to do myself, so I never take these moments lightly. In fact, I feel like I learn from each one of those students. But not all moments included tears. 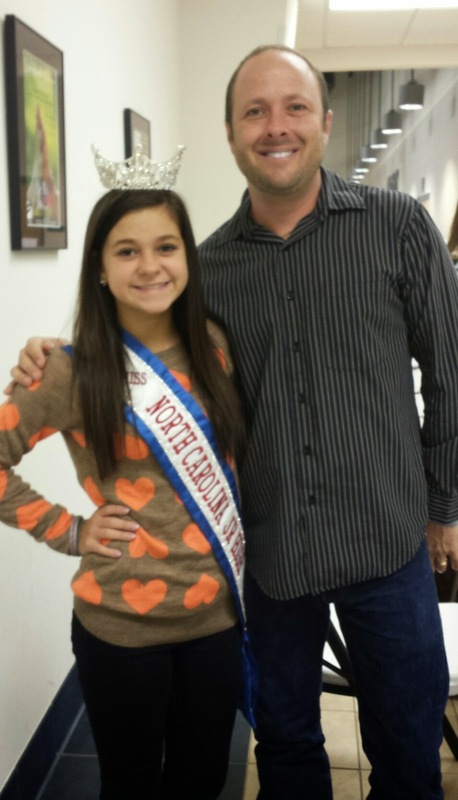 For example, I got to meet Miss North Carolina Junior High School America! After my school visit, I had a bit of time before heading to the airport, so I headed to...The Country Bookshop! This store provided books for my school visit, and was also a great place to browse (like I said, it's a bookshop). 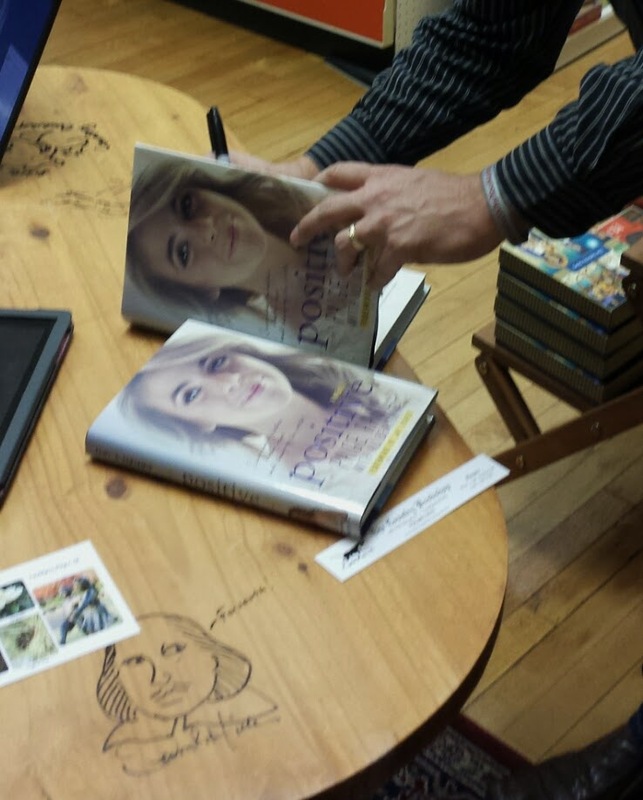 They recently began having visiting authors sign a tabletop in their store, which I did. While I signed it, the table was also being used for a meeting between the store's book buyer and a sales representative from another publisher (not mine, so they shall remain nameless...but easy to figure out). When I mentioned that I wrote the forward to one of this publisher's recent releases, Positive, by Paige Rawl, the bookseller brought her store copies over for me to sign. So if you live near Southern Pines, go grab these books. Plenty of people have copies of Paige's memoir signed by Paige herself, but no one has a copy signed by me! Now that I've flown on to the next state, I totally regret chickening out of a picture with those statues. When I first entered the school library, I saw a bucket of cards. 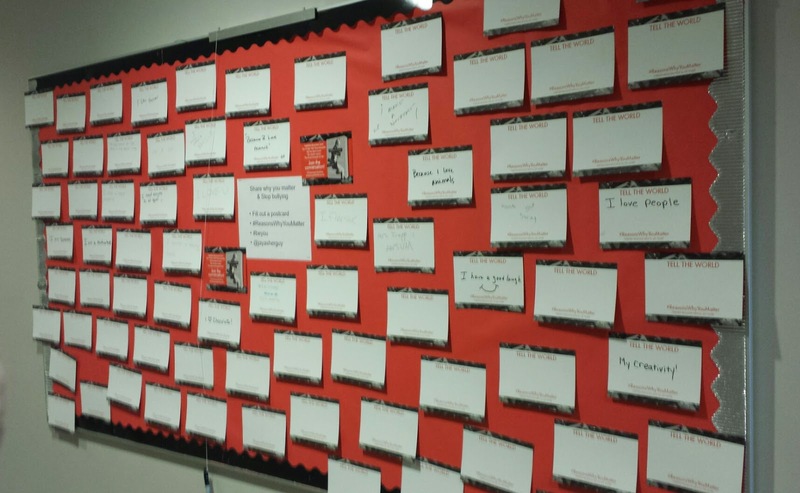 Students were encouraged to consider why they matter and express that to the rest of the school. 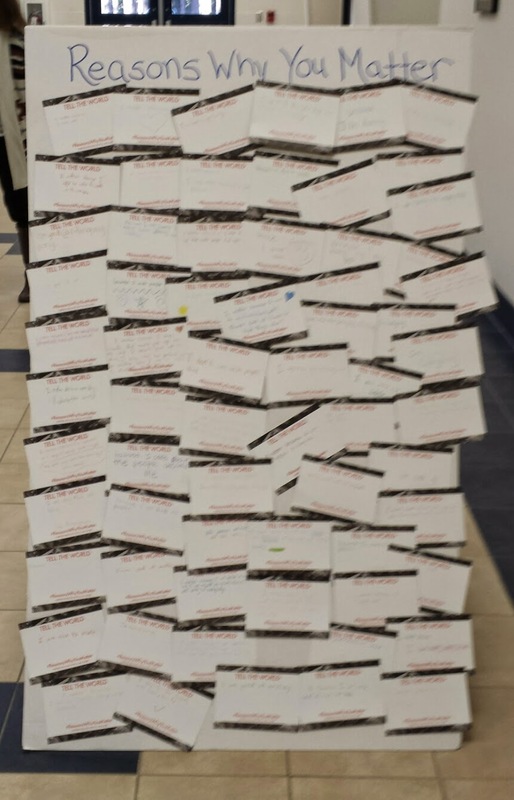 They then posted the cards on a wall. The bucket was nearly empty. Students Jessica and Andreea introduced me to the rest of the students, beginning with a recitation of "Soul Alone," the poem Hannah wrote in Thirteen Reasons Why. 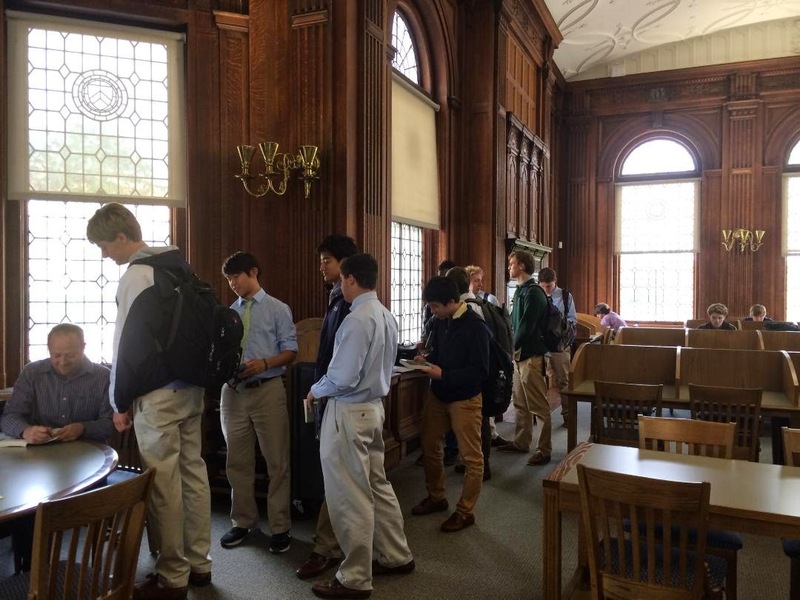 The book signing in the library turned into an opportunity for wonderful discussions with students, as well as some tears and hugs. 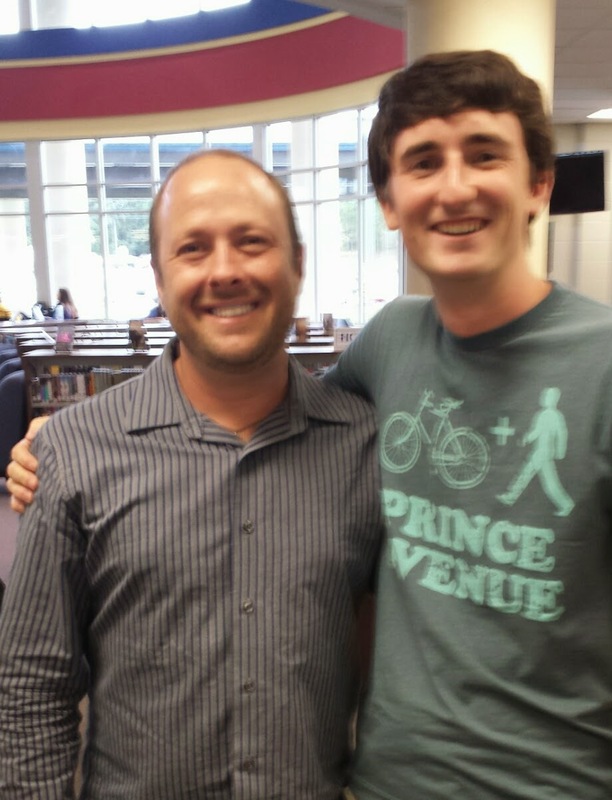 I also had the chance to meet Will Walton from Avid Bookshop. Will's debut YA novel, Anything Could Happen, comes out next year! He assures me that the website linked to above is a work-in-progress.